Verizon Wireless has revealed that it will be starting field trials of 5G wireless service next year, as it works toward the goal of a commercial launch of the next-generation mobile network. Roger Gurnani, chief information and technology architect for Verizon, says that "some level of commercial deployment" will begin as soon as 2017. Most analysts don't expect to see 5G available until 2020. The nation's largest carrier has already started working with Alcatel-Lucent, Cisco, Ericsson, Nokia, Qualcomm and Samsung (in alphabetic order) to get those trials going. At its innovation centers in Waltham, Mass., and San Francisco, Verizon has built testing grounds where 5G signals can be put through the paces. Verizon says that 5G allows 50 times the throughput as 4G, and users will be able to download a full-length film in seconds. The carrier notes that 87% of its data traffic runs through its 4G LTE network, adding that 98% of the country has access to a 4G LTE signal. Besides Verizon's 5G tests in the U.S., in South Korea, the hope is that a 5G pipeline will be up and running in time for the 2018 Pyeongchang Winter Olympics. Japan wants to have 5G service available in 2020 when it hosts the Summer Olympic games. Of course, having 5G service up and running means nothing without new handsets that can support the faster speeds. When are we going to have REAL 4glte in the US? We do not meet ITU-R minimum standards for 4g as it is. we have 3.5g at best. 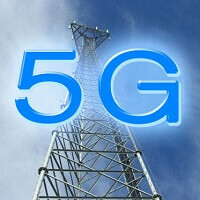 Maybe 5g will possibly meet 4g standards..
How will this work when Verizon doesn't even offer unlimited data? Won't you rack up overage charges?? One thing I can say about Verizon is they are expensive for those who don't have unlimited data anymore. Obviously depends on usage. Verizon is expensive in general, but I'm not a huge data user so that part of the equation doesn't really factor in for me. I used 1.5-2 GB max when I had unlimited, and most of the time am under 1GB. I'm largely always around Wi-Fi though. My brother on the other hand...he'll watch Netflix on his phone using LTE instead of available Wi-Fi specifically to take full advantage of his unlimited data. the whole point of 5g (as stated) is that you can download large files really quickly. nobody will utilize this if it is insanely expensive to use that much data. they're only charging us what they're charging us because they can. they are already coming off of it a bit and prepaid carriers are really breaking through. something like project fi could change the entire face of the industry. i'd much rather see developments there before we worry about 5g. My N5 supports LTE cat9. I wonder will 5G be included. Hopefully most devices are 5g capable 2022. They should really try to cover everyone with what they have before moving on to the next technology. My Network Extender went out today, and I'm on Verizon's network for the first time in 5 years at my home. From 2010 until now, their signal has dropped 15dBm in the same spot. I live in a fairly flat rural area, there are no differences in the landscape between then and now, and yet there is that big of a signal loss. That is unacceptable. I think a Moto X Pure is in my near future and we'll see if AT&T is an option before I switch. "users will be able to download a full-length film in seconds" Lol, will they also be paying massive overages? What is the point of having these data speeds if you are afraid you use your data half the time. I don't even load things half the time on LTE because it is way too easy to hit 2GB.